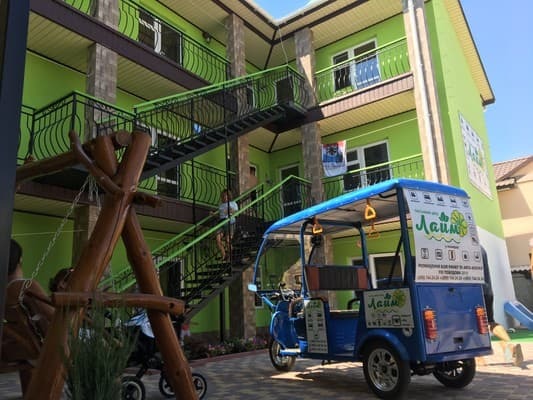 Private pension "LIME" is located in the resort village of Zhelezny Port, on the Black Sea coast in close proximity to the Bus station (100m) and the Market (50m), the distance to the sea is 800m, there are many cafes and shops nearby. 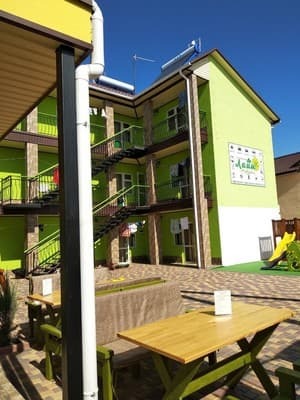 Accommodation of holidaymakers in 2-5 bed rooms with all amenities. 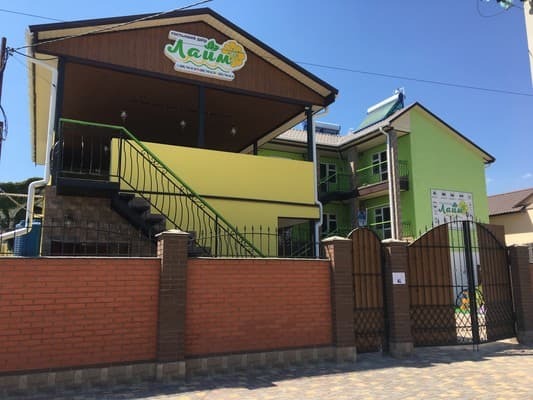 On the territory of the boarding house there is a Cafe where delicious breakfasts, lunches and dinners are served. There are also gazebos with a barbecue where you can cook barbecue yourself. 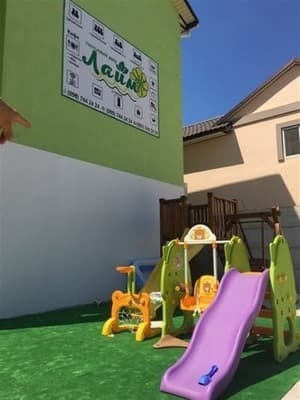 For children there is a playground. Transfer to the sea at the Electric rickshaw. You can visit the pool in a nearby boarding house. 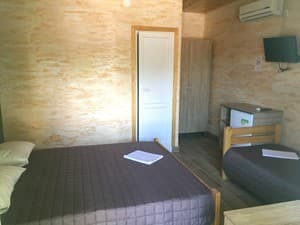 Description of the room: Spacious room for three with a large double and single bed. Ideal for couples with a child. The air conditioner will help you on the hottest days so that you can get enough sleep and play with new strength and swim the next day. In the mini fridge you can store personal products. Check arrival: from 12:00 - 00:00 hours. Check leaving: to 10:00 - 10:00 hours.